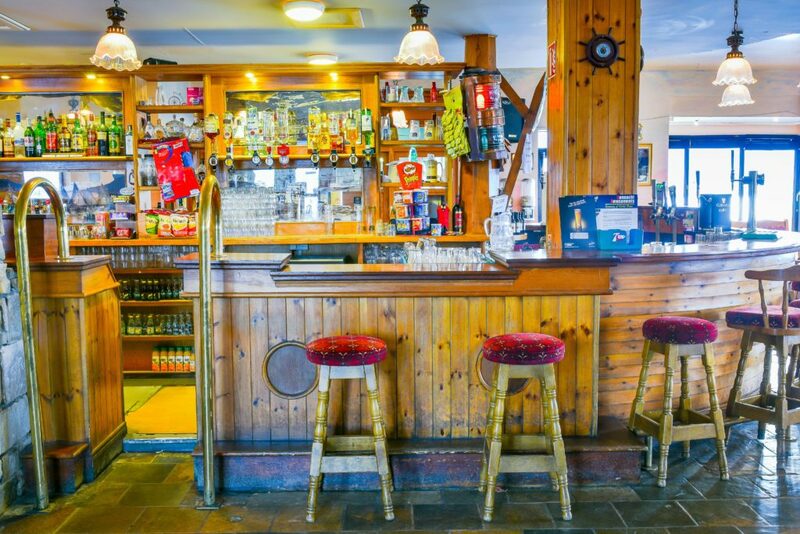 Alice’s Harbour Bar and Restaurant at Óstán Oileán Acla (Achill Island Hotel) continues the tradition of its predecessor, Alice’s Harbour Inn, with its reputation for ‘ceol agus craic’. Using local stone and harbourside features, Alice’s Harbour Bar and Restaurant provides a welcoming venue for an evening out. Our menus are prepared according to the season, with Achill lamb and locally caught seafood – including wild Atlantic salmon, oysters, mussels, crab and lobster – a speciality. And to complement your meal we offer a comprehensive selection of fine wines. 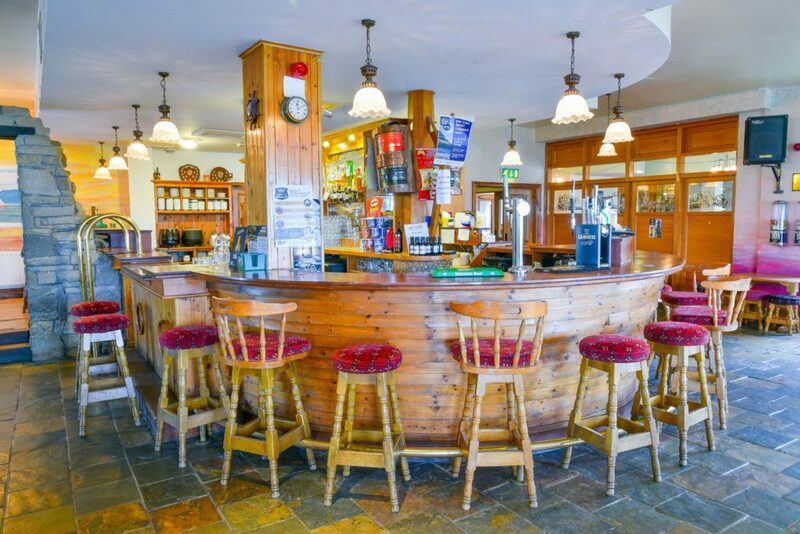 Our extensive menu of bar meals is available all day, and live entertainment is provided most nights. 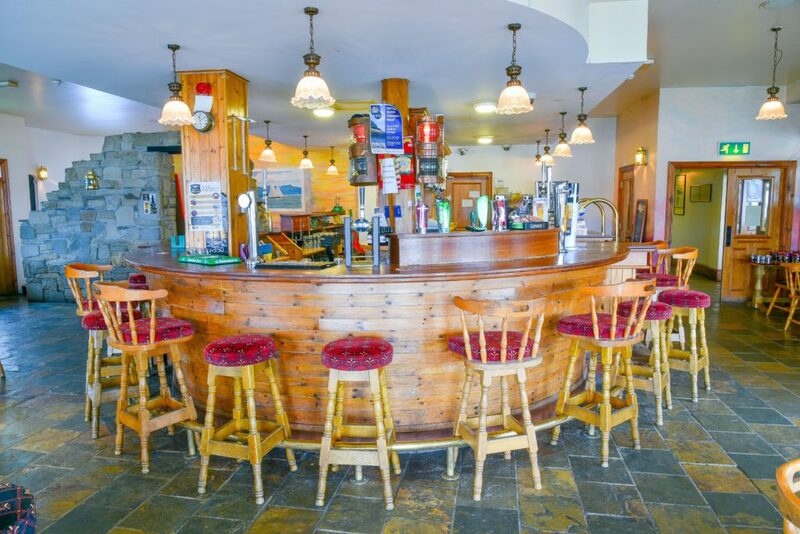 Whether it’s relaxing with a coffee looking out at the Atlantic, or enjoying a ‘session’ with family and friends, Alice’s Harbour Bar and Restaurant continues to entertain both locals and visitors to Achill Island. You will find it a better way to relax – slowly drinking a pint of cool Guinness in a friendly atmosphere while watching the sun set over the Atlantic Ocean.